An engrossing, epic saga of one family’s experiences on both sides of WWII, All Ships Follow Me questions our common narrative of the conflict and our stark notions of victim and perpetrator, while tracing the lasting effects of war through several generations. In March 1942, Mieke Eerkens’ father was a ten-year-old boy living in the Dutch East Indies. When the Japanese invaded the island he, his family, and one hundred thousand other Dutch civilians were interned in a concentration camp and forced into hard labor for three years. After the Japanese surrendered, Mieke’s father and his family were set free in a country that plunged immediately into civil war. Across the globe in the Netherlands, police carried a crying five-year-old girl out of her home at war’s end, abandoned and ostracized as a daughter of Nazi sympathizers. This was Mieke's mother. She would be left on the street in front of her sealed home as her parents were taken away and imprisoned in the same camps where the country’s Jews had recently been held. Many years later, Mieke’s parents met, got married, and moved to California, where she and her siblings were born. While her parents lived far from the events of their past, the effects of the war would continue to be felt in their daily lives and in the lives of their children. All Ships Follow Me moves from Indonesia to the Netherlands to the United States, and spans generations, as Mieke recounts her parents' lives during and just after the war, and travels with them in the present day to the sites of their childhood in an attempt to understand their experiences and how it formed them. 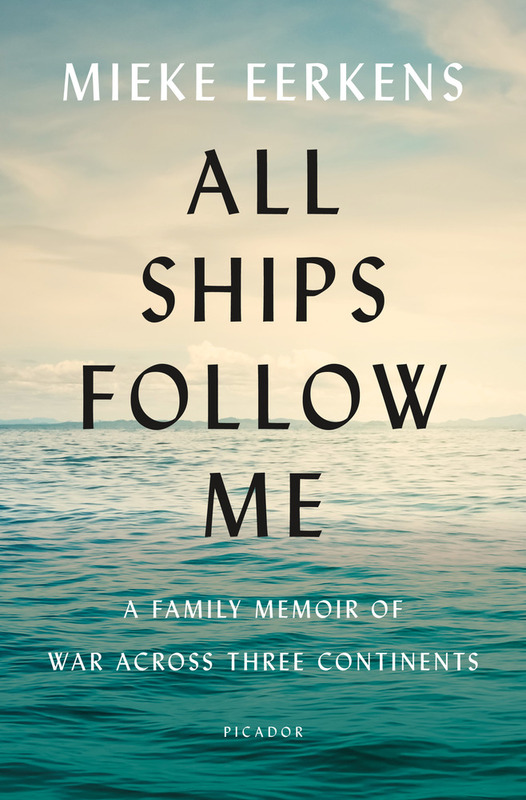 All Ships Follow Me is a deeply personal, sweeping saga of the wounds of war, and the way trauma can be passed down through generations. MIEKE EERKENS's writing has appeared in The Atlantic, Creative Nonfiction, Los Angeles Review of Books, and Guernica, among others. She earned an M.A. in English from Leiden University in the Netherlands, and an M.F.A. from the University of Iowa. Eerkens teaches creative writing online for UCLA Extension’s Writers’ Program and as a visiting instructor for the Iowa Summer Writing Program. She divides her time between Amsterdam and California. All Ships Follow Me is her first book.